In the UK, the summer of 2012 has been largely regarded as one of the wettest in recorded meteorological history, with a month’s rain falling on one single July day. This hasn’t been reflected in the photographs of my hill-walking days, probably because I’ve finally learned enough sense not to go out when it’s raining! 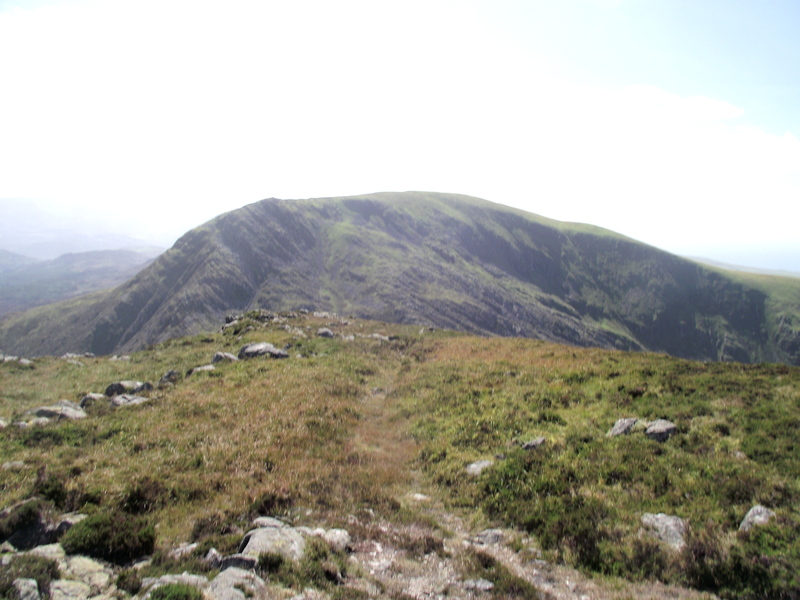 However, the light has often been dull, with mist on the tops, not very interesting for photography. 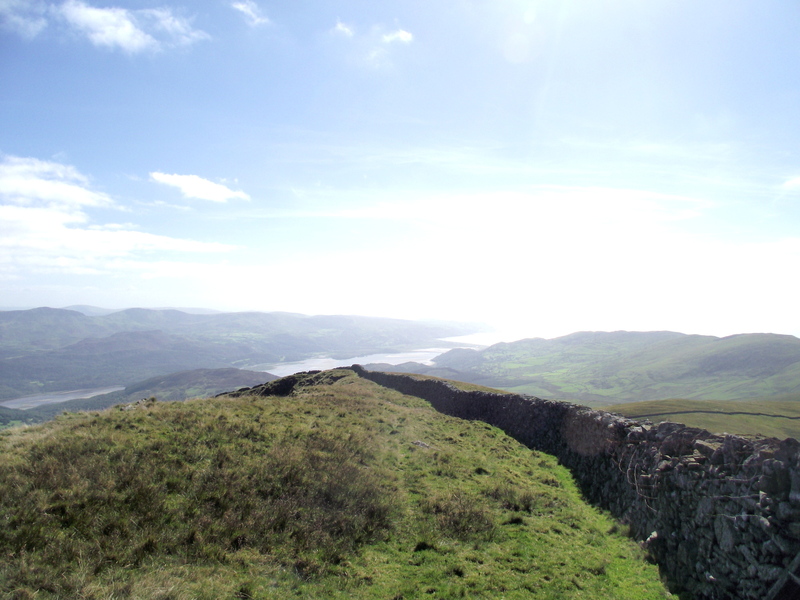 So, I couldn’t believe my luck when two days after our misty day on Rhinog Fawr, the forecast was for sun – my rucksack was packed in minutes! 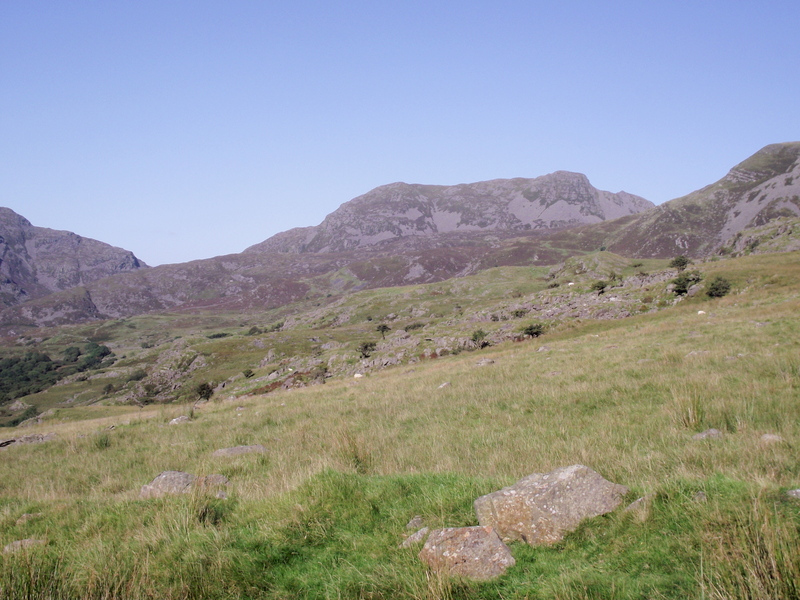 The plan was a circuit starting at Cwm Nantcol, walking over Rhinog Fach (712 metres), Y Llethr (754 metres) then the Crib y Rhiw Ridge leading to Diffwys (750 metres). 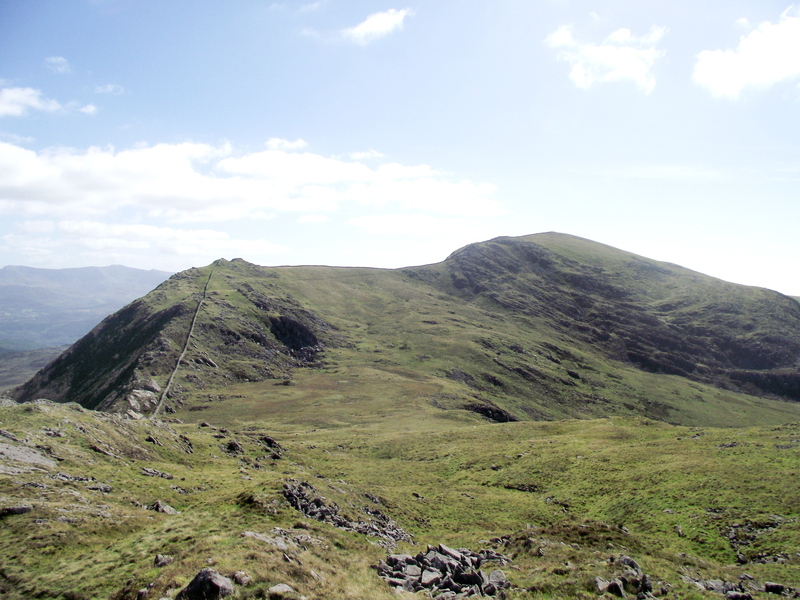 From there the easiest return route was to descend to the reservoir at Llyn Bodlyn, then to cross the 430 metre high saddle to the east of Moelfre before descending to the valley for an easy road walk back to the start. A grand total of about 18 kilometres and getting on for 1100 metres of height gain. 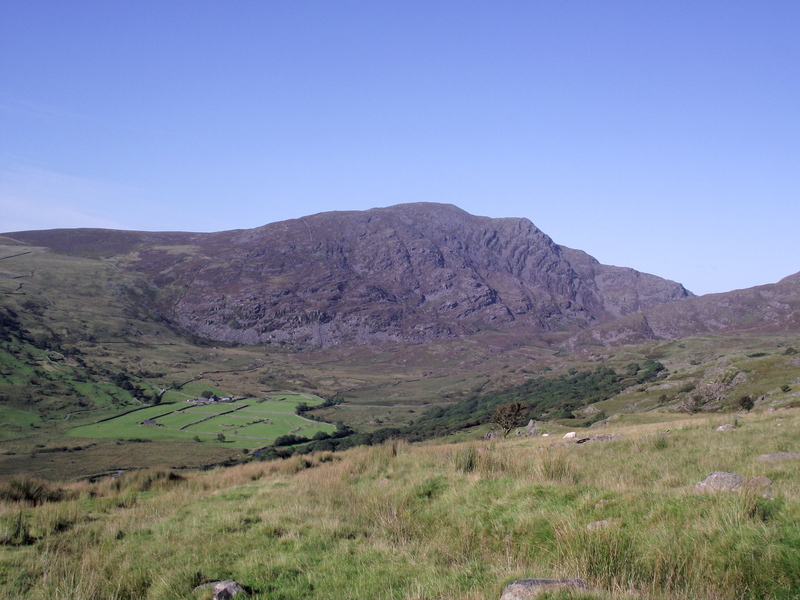 The stony plateau at the summit of Rhinog Fach …. 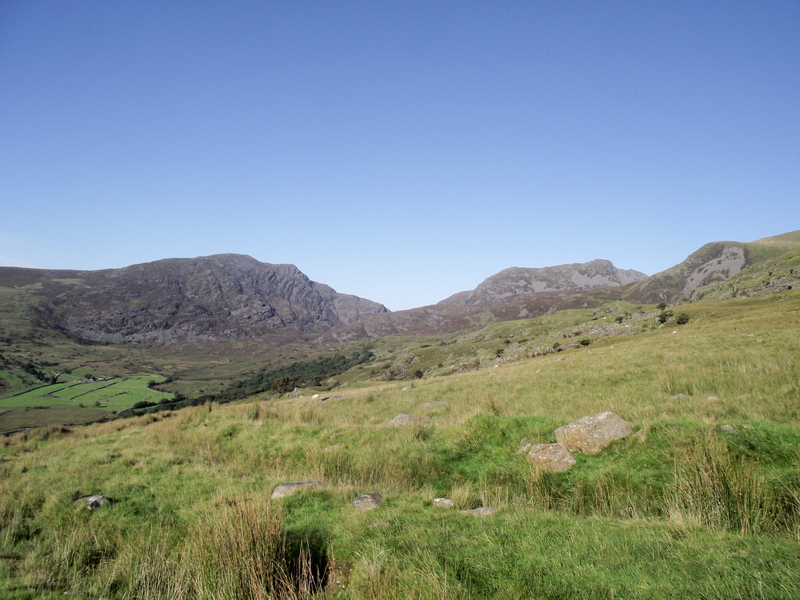 The route started by heading up the valley running between Rhinog Fawr and Rhinog Fach. At the col between the two peaks, the way to Rhinog Fach took the ‘full-frontal’ approach, heading straight up – a couple who were walking a shortened version of my route stared in disbelief as I pointed out the line of ascent, but they gamely tagged on behind as I set off upwards, but the going eased as height was gained, leading to a stony plateau. 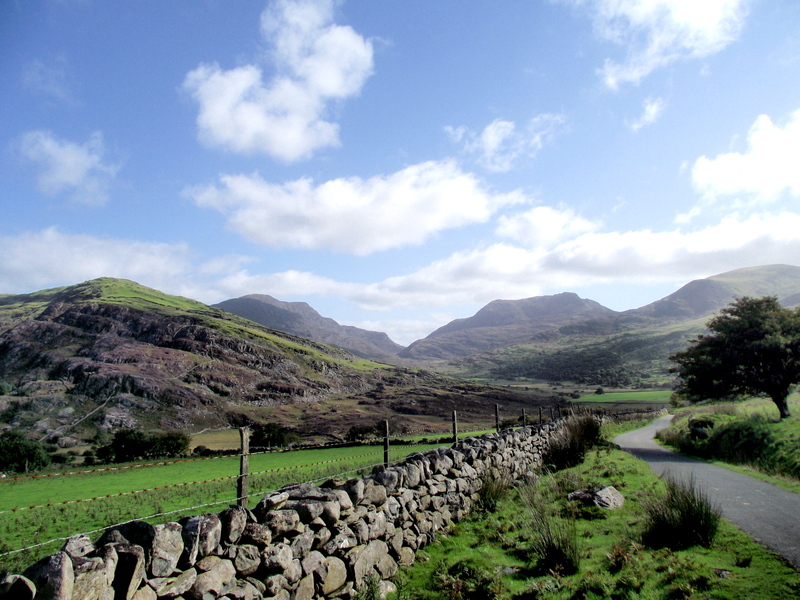 Looking back to Rhinog Fach from near Llyn Hywel …. 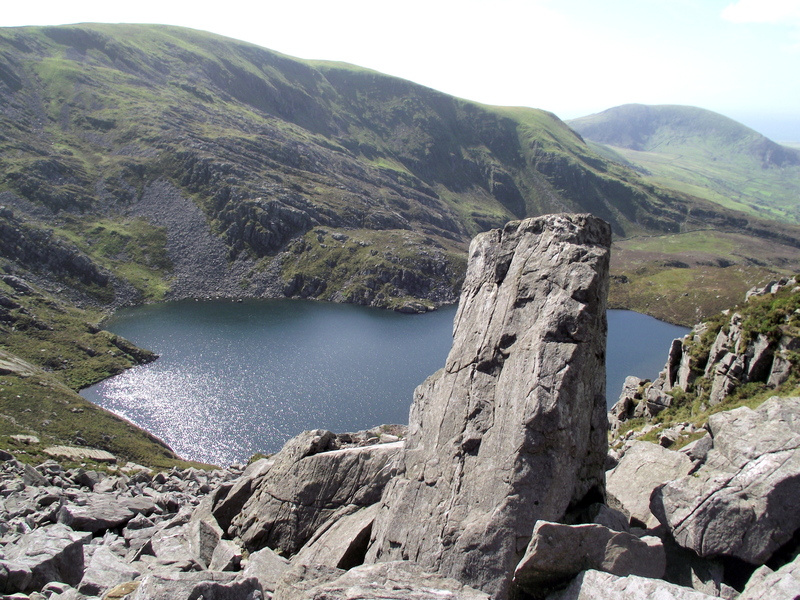 If the ascent had been steep and stony, then so was the descent to the col next to the small lake of Llyn Hywel. 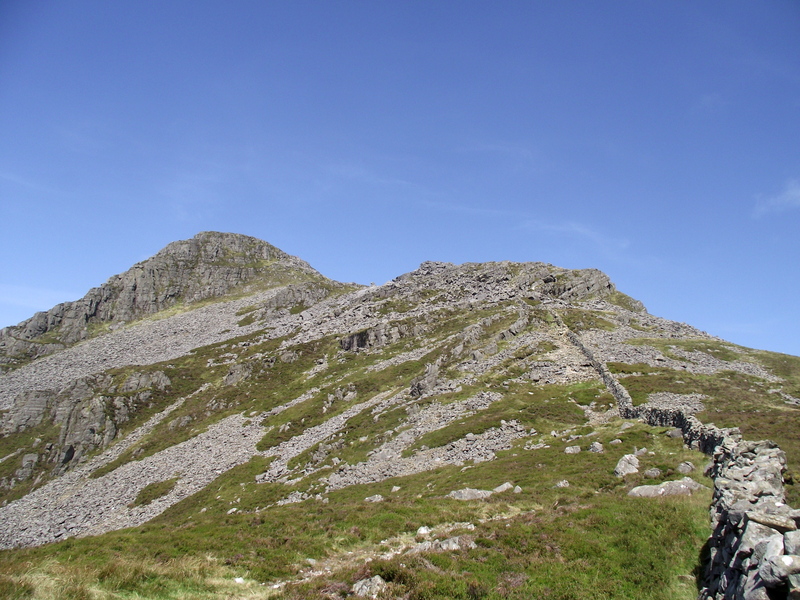 The height lost had now to be regained to the summit of Y Llethr, the highest peak in the Rhinog Mountains. 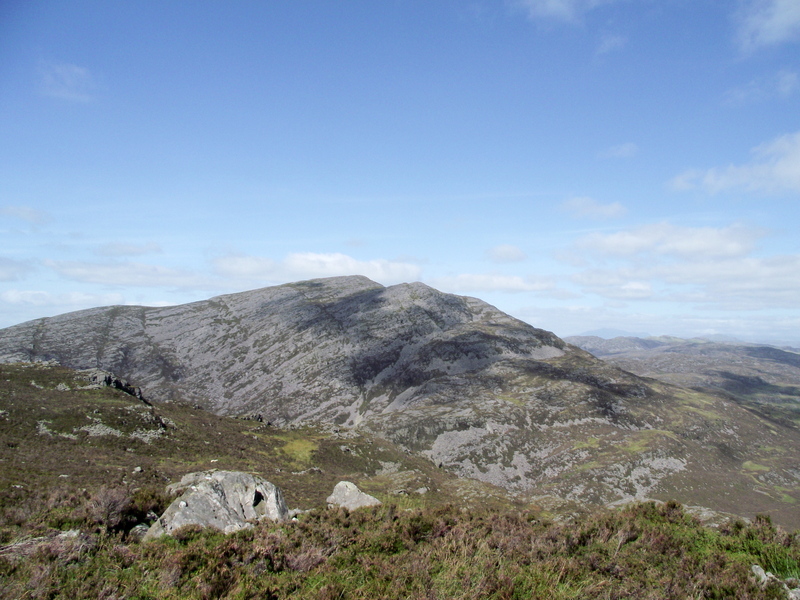 From here there was a complete change of atmosphere with steep, rocky slopes replaced by rolling grassy ridges. 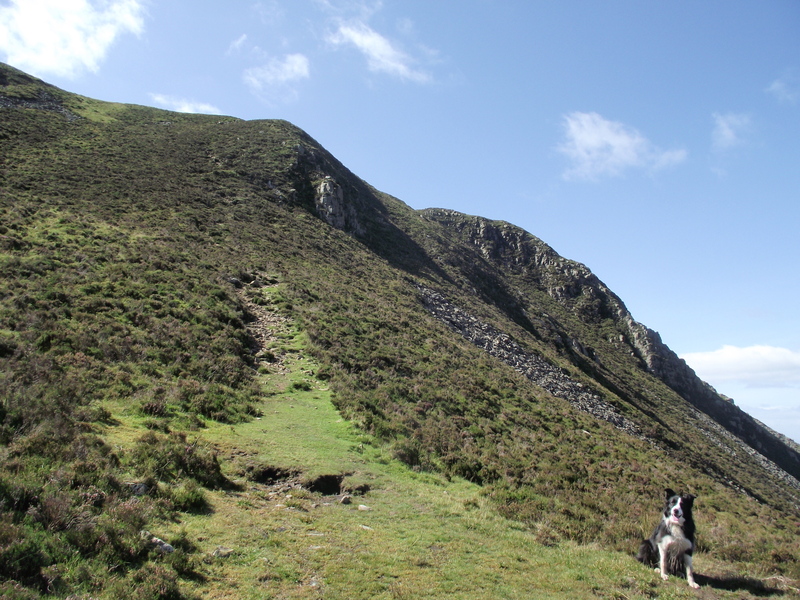 Easy walking demolished the remaining distance, and apart from Border Collie ‘Mist’ and a couple of wild goats, the soaring grass ridge was all mine. ‘Mist’ on the summit of Y Llethr, but the right kind of mist today! 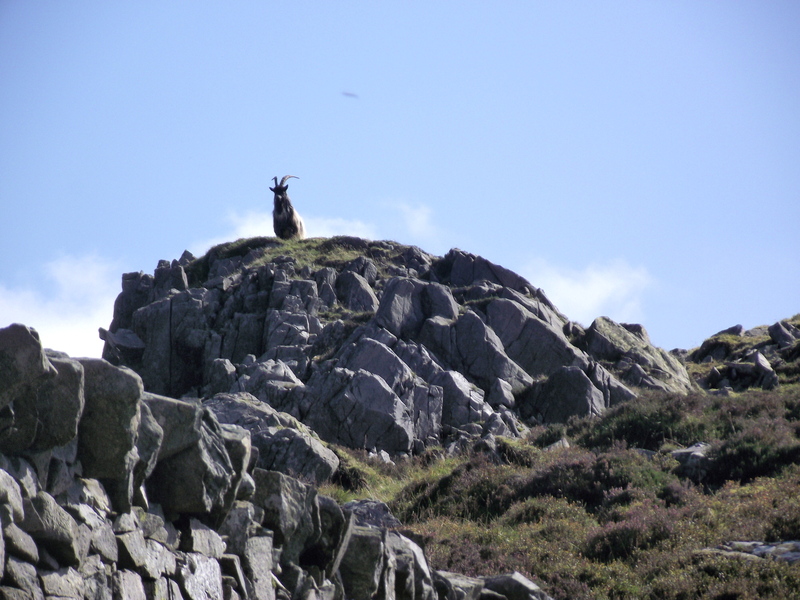 Wild goat on Crib y Rhiw Ridge …. 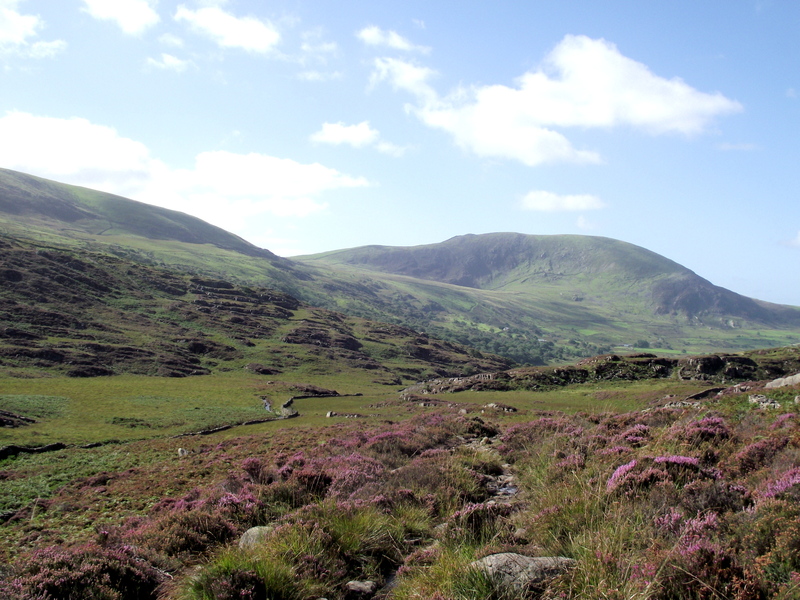 Looking towards the final section of the route over the Moelfre saddle (centre) …. 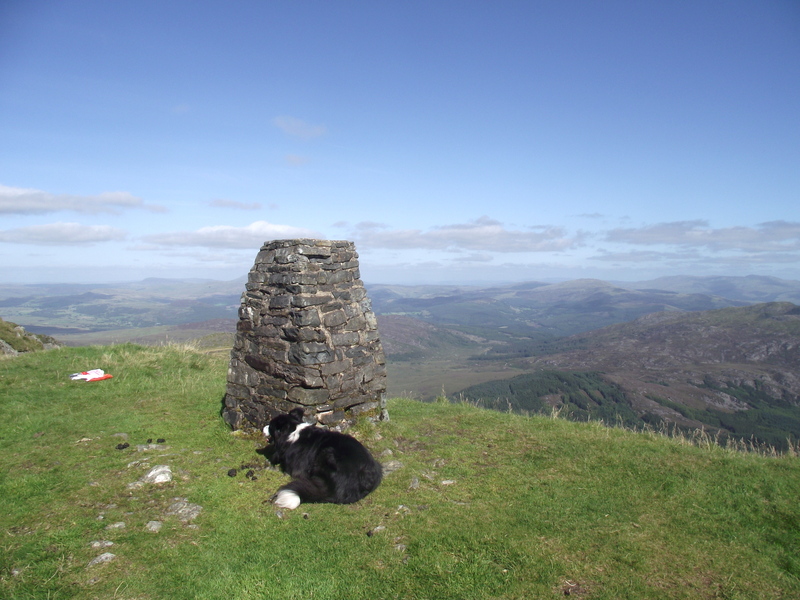 The undulating Crib y Rhiw Ridge led to Diffwys, with its stone Trig Point and a cracking view down to estuary of the Afon Mawddach. 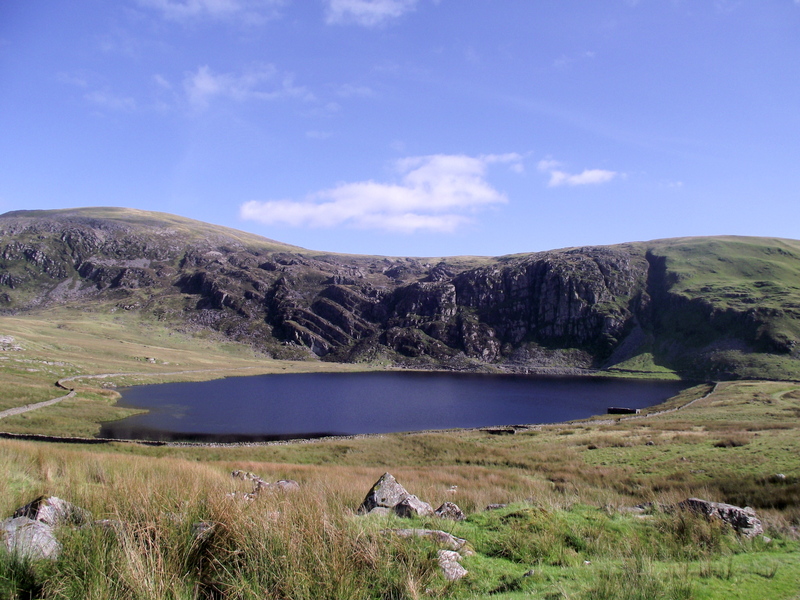 This was followed by a long descent to the Llyn Bodlyn reservoir – although man-made, the lake appears to be totally natural, and is completely in character with its surroundings. 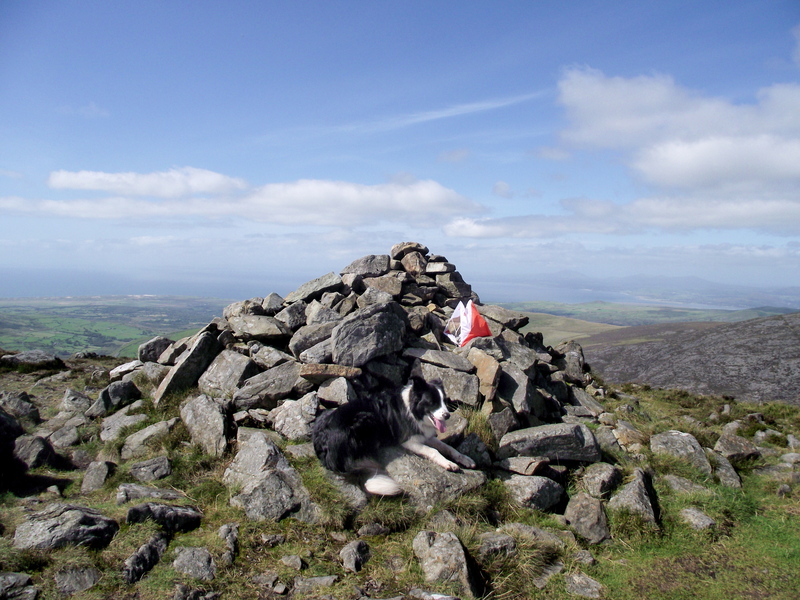 The Trig Point on Diffwys …. 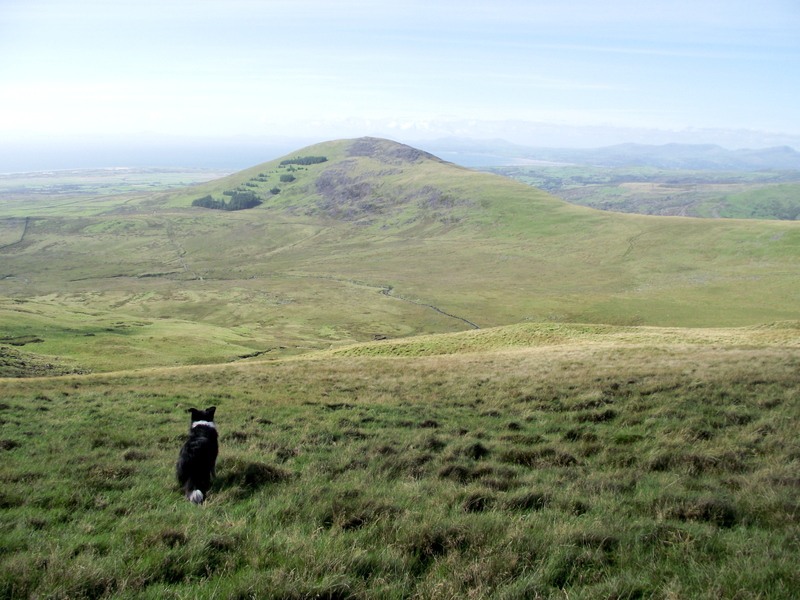 After Llyn Bodlyn I had my final height gain of the day, crossing the saddle to the east of Moelfre. 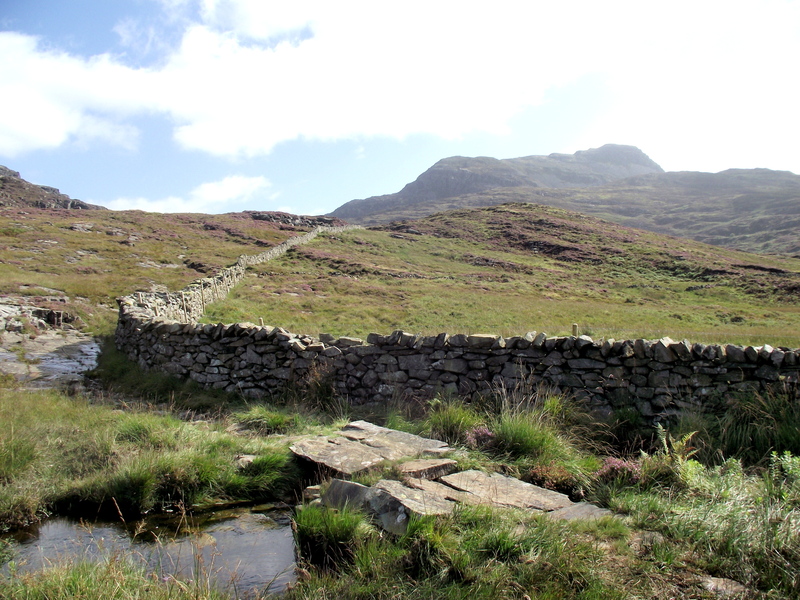 On the descent to the valley the atmosphere changed yet again, as views of Rhinog Fawr and Rhinog Fach opened up. 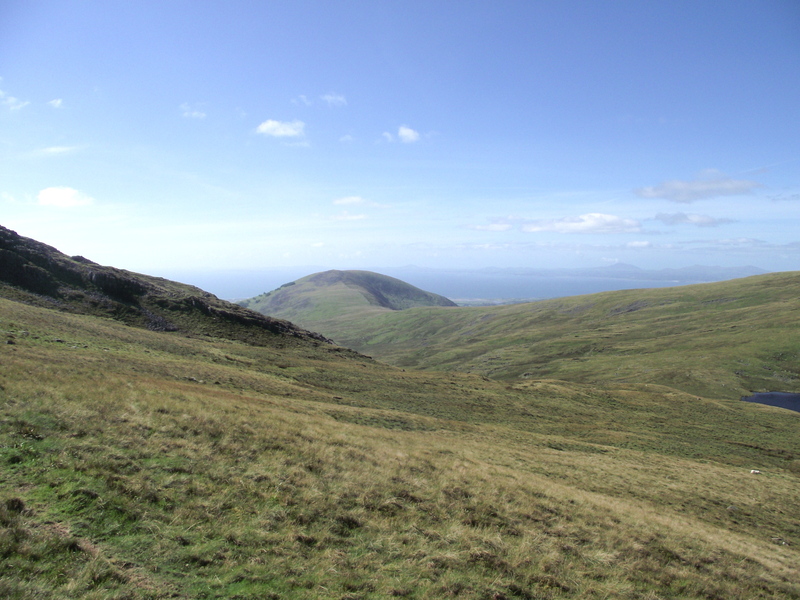 Rhinog Fawr seen from the Moelfre saddle …. 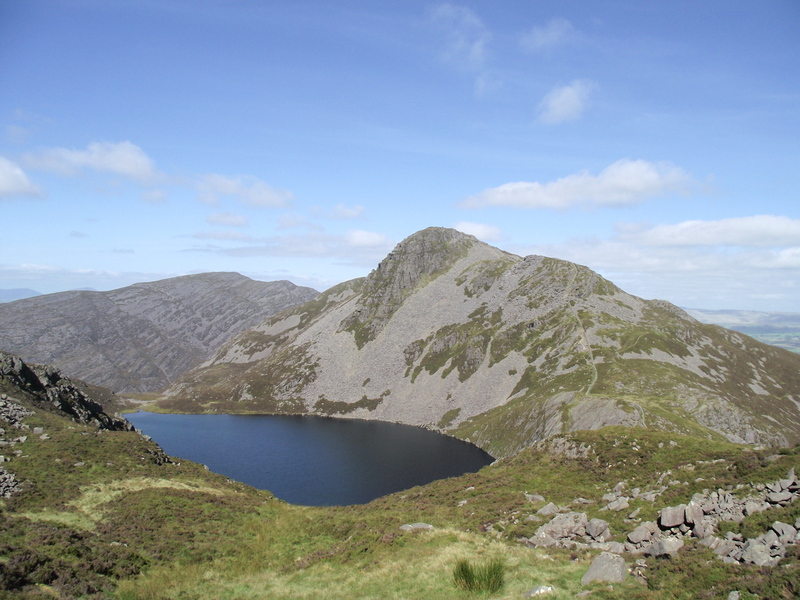 It had been a good week – a good section of the Rhinog Mountains covered over two days, with plenty left to inspire other visits. 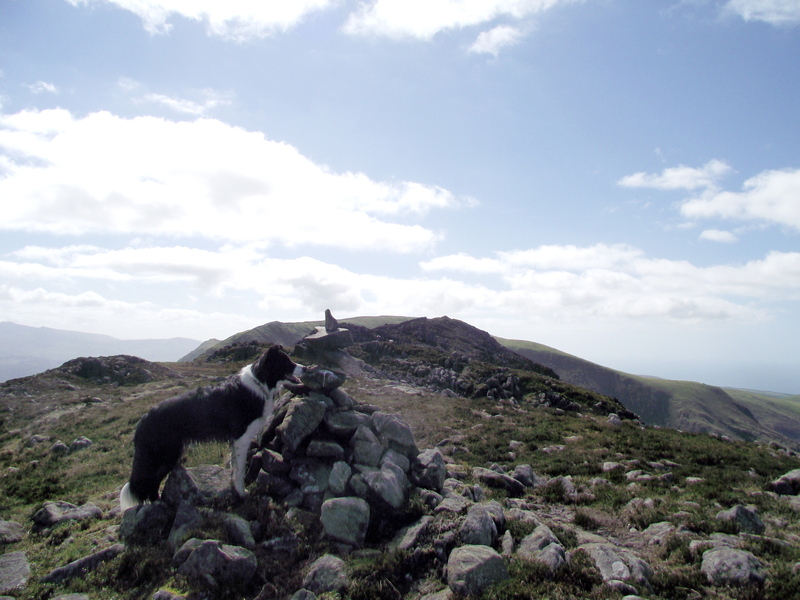 As I dropped down to the road for a final easy stroll to the car I was already thinking about the next hill day. 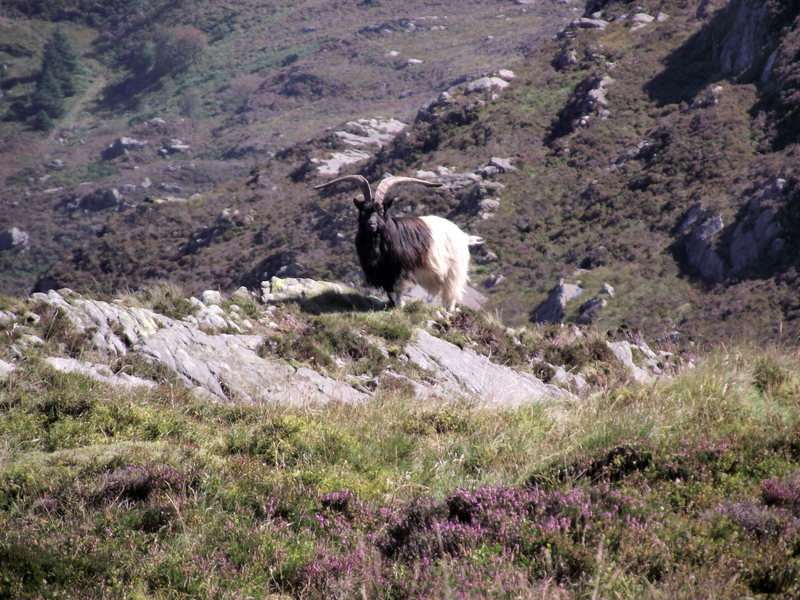 But not here though – I had a pre-arranged appointment with Dartmoor to look forward to …. p.s. Apologies if I’m slow in replying to comments this week – as you read this I will still be in Devon, drying out my boots from the Dartmoor trip as I search for a Broadband connection ! What a fantastic looking day! It was one of the outstanding days of the year – the ‘summer’ of 2012 will be remembered for many things (Jubilee, Olympics, etc) but hill-goers will remember the rain! 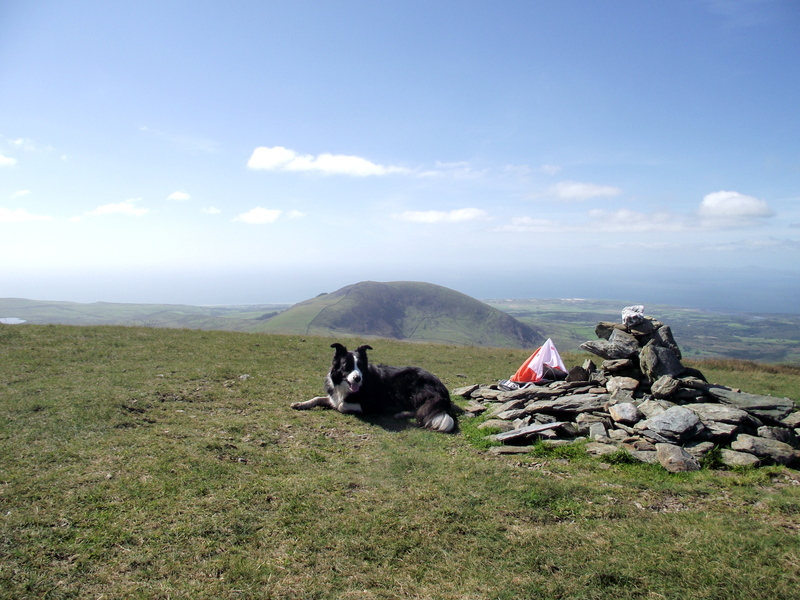 You missed out poor ol’ Moelfre! 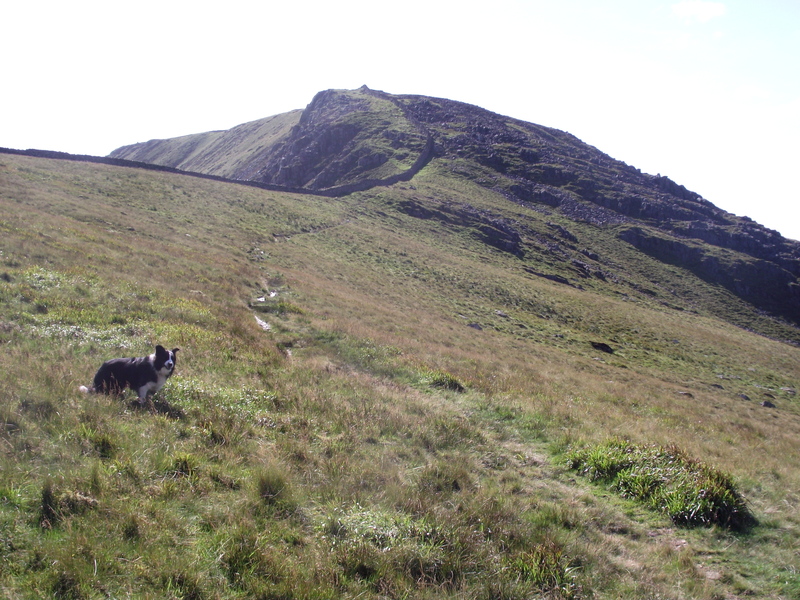 I went the other side of the wall on Crib y Rhiw once – it was pretty scary in places! There was a point where I eventually climbed back over to join Richard as it just got too hairy! Finally the sun shone for you! A great selection of images and a good write up. I’ll now go an find the map and take a second look at the route on the map.